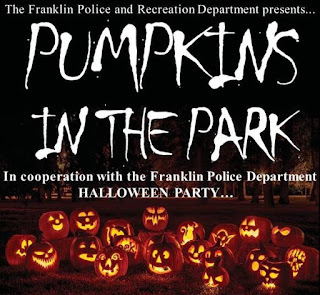 The Franklin Police Department and Franklin Recreation Department are offering a free Halloween celebration on October 28, 5:00 - 8:00 PM at 911 Panther Way. The Police Department will turn the station into the Hall of Justice with superheroes and villains. They will have a spooky trail, bounce house, obstacle course, face painting and games. 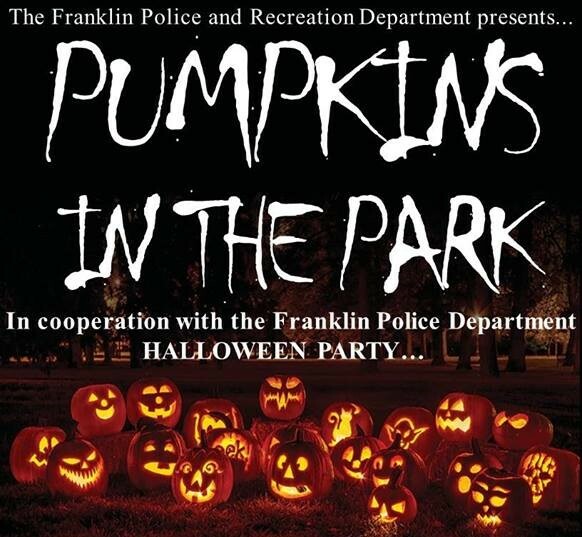 The Franklin Recreation Department will also be hosting a carved pumpkin contest. Please drop off finished, already carved pumpkins to the Sculpture Park on Panther Way between 5:00-7:00 PM. We will provide tea light candles. Contest starts right at 7:00 PM.